for $149,500 with 3 bedrooms and 1 full bath. This 864 square foot home was built in 1953 on a lot size of 0.4900 Acre(s). Colonial Heights - Looking for a Beautiful Move-In Ready House on a Dead End Street with a Large Double Lot - Then This Is Your House! 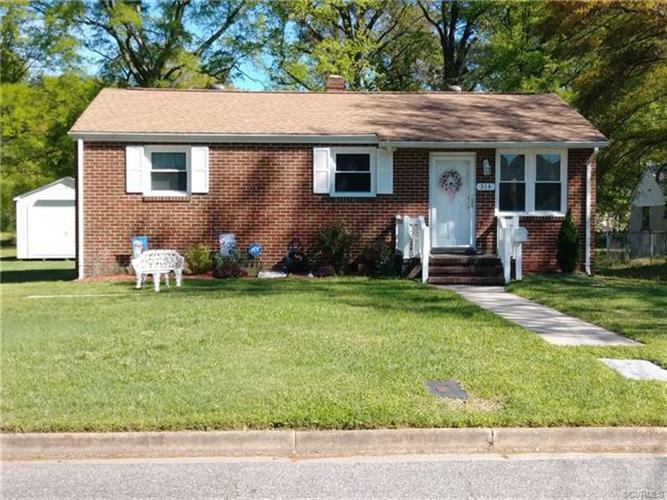 Brick Ranch with newly remolded kitchen and bathroom! Heat Pump/Central Air and Secondary High Efficiency Oil Heat plus Insulated Windows. Comes with washer/dryer and a Large Screen TV! Have lots of stuff - No Problem this house has 3 nice sheds! Convenient to I95, Ft Lee and the Mall. Call now to see this one today!